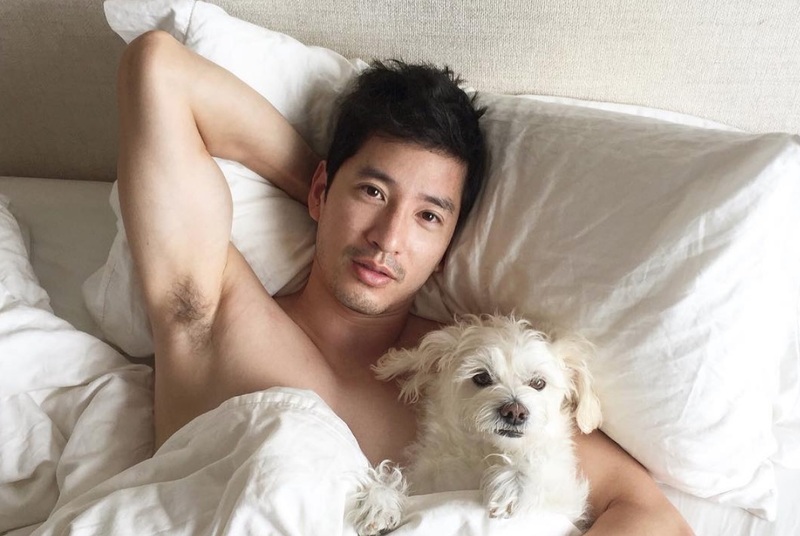 Richie Kul is a model, actor, vegan activist, and proud father to Lily 'Miss Sunshine' Kul - a fluffy little ball of love that seems to appear in most of his photoshoots. Now best known for his role in critically acclaimed film Pearls of the Far East, Kul is determined to use his platform, his success, and his remarkable way with words for the greater good. 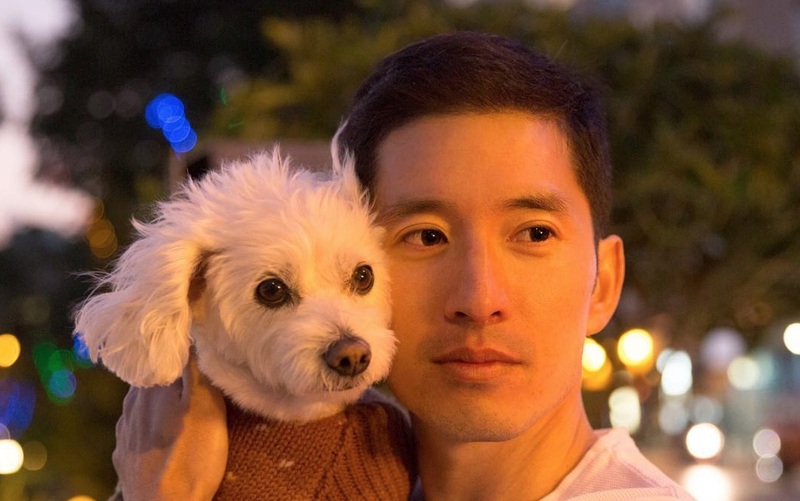 Kul has loaned his face to a number of animal rights organizations, including Change For Animals Foundation, Towards a Compassionate Nation (TACN), Compassion Over Killing, Animals Asia, and Soi Dog. He also advocates on social media, promoting veganism on Instagram, Facebook, and YouTube. This week, Plant Based News was able to catch up with Kul - who shared his story, his vision, and his one-of-a-kind perspective on a number of hot-button issues. What sparked your interest in animal rights? Like most people, I've always abhorred violence and from a very early age, I committed to living peacefully and compassionately. But when I sincerely reflected on my daily habits and choices, I began to notice a startling disconnect between my words and my actions. How did that awakening impact your lifestyle? As a thirteen year old, I went vegetarian despite stiff resistance from my parents and relentless teasing from the kids at school. But that was ok, because this budding rebel was accustomed to tuning out and digging in. And for the longest time, I was convinced this youthful act of defiance was 'enough' - that I was no longer contributing to needless suffering. I realise in hindsight that a lot of that was wishful thinking and that perhaps I'd tuned out a little too much. As the truth about the violence and exploitation inherent in the dairy, egg, fashion and entertainment industries became more widely disseminated, I could no longer seek refuge in the illusion that there is somehow a magically humane way to use and subsequently extinguish life. After twenty years as a vegetarian, I've been vegan now for four years - and my only regret is not having made the transition sooner. What, if anything, do you find most challenging about being vegan? Any inconveniences I face pale in comparison to what the animals we reduce to being food, fur or entertainment must endure. There is no greater "inconvenience" than being held against your will, brutalized and stripped of familial bonds or anything else that gives your life comfort and meaning. And in reflecting on this injustice in the course of my activism work, staying vegan has proven remarkably easy, because veganism isn't actually some grand gesture but in fact the very least we can do. It simply involves shifting our mindset and restoring to those from whom we have long taken. How do you find a plant-based lifestyle has impacted your health and your career? As an actor and model, I earn a living from staying fit. I also naturally enjoy leading an active lifestyle, and for me that involves daily workouts, regular hikes, competing in tennis matches for my local club team and the occasional Spartan race. Being vegan has enhanced my health tremendously - I recover faster, have more energy, clearer skin and greater mental clarity. And most importantly, I have found a higher purpose to speak out against violence and give voice to the innocent beings whose own pleas largely go unheard. I firmly believe that if we're afforded any sort of platform, it comes with great duty and responsibility, and I feel increasingly motivated to share the innumerable benefits of plant-based living with friends and fans. How do you think the image of plant-based living has changed in recent years? I'm encouraged to see that the narrative is shifting ever so slightly, with the massive surge in top vegan athletes and bodybuilders who comprehensively squash this long-held myth that one can't be strong and powerful without eating animals. Look no further than Lewis Hamilton, Lionel Messi, Novak Djokovic, and Kendrick Farris (the only male US weightlifter to qualify for the Rio Olympics) for prime examples that veganism doesn't inhibit but in fact enhances athletic performance. What do you think of the association between meat and masculinity? Traditionally, masculinity has long been associated with aggression, hunting, and bloody slabs of meat. Note a common thread? They all conjure up this image of a primitive, boorish caveman. The modern 21st century man shouldn't be applauded for his barbarism. More and more, we are recognizing that strength and compassion aren't mutually exclusive but in fact go hand in hand. Real men protect rather than exploit the most innocent and defenceless among us. That to me has always been the ultimate measure of a man - what he does for those who can never return the favor. Do you think that vanity contributes to people's refusal to go vegan? Great question. I think vanity does play an outsized role in carnism, this arrogant notion that it's somehow our birthright to impose ourselves onto those weaker and less capable than us. We think that eating animals will somehow make us bigger, stronger and healthier, when in fact it has the reverse effect - we're leaving ourselves more vulnerable to heart disease, cancer and a host of other ailments that are entirely preventable. It's incredibly ironic. What other hurdles does the vegan movement face going forward? I think the biggest hindrance to pursuing a vegan lifestyle is the inexorable pull of tradition. Old, ritualized habits, no matter how destructive, are hard to break, and in the interest of self-preservation, we continually reinforce the legitimacy of this pervasive brutality with tired, worn out excuses - it's the circle of life, plants have feelings too, God gave us dominion over the animals - the list goes on and on. We readily equate meat to fruit and veg, and though we wouldn't give a second thought to taking our children to an apple orchard or strawberry field, we'd shudder at the thought of a field trip to the local slaughterhouse. We're all against animal cruelty, and yet so many of us are happy to propagate this myth that animals are somehow caressed and cuddled into nuggets and fillets. Our wishful thinking sadly has no bearing on reality, and it's this cognitive dissonance that allows otherwise kind and well-meaning people to remain complicit in such widespread suffering.